January is all about new resolutions and a perfect excuse to treat yourself to a striking new accessory. See, kicking off the new year ain't so blue! 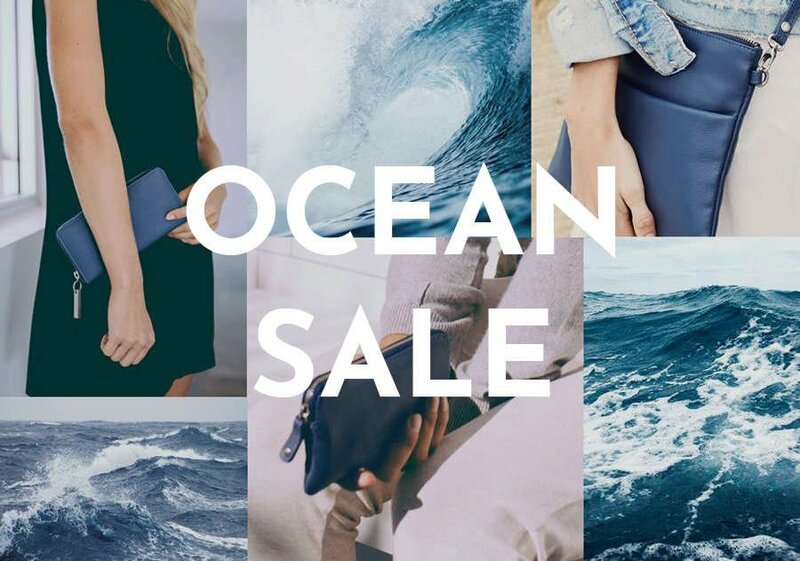 Shop now and receive up to 40% off all ‘ocean’ leather clutches, handbags, wallets and pouches! PLUS add our VIP code ‘OCEANSALE’ at checkout to get an EXTRA 20% off. * VIP discount code ‘OCEANSALE’ ends 31/1/19 at 11:59pm AEST. Offer only valid on products in the Ocean colour leather as featured. Limited quantities. While stocks last.